Supporters do a lot to prove their loyalty to the club or favourite players – but most of them shy away from wearing his jersey or a fan scarf in everyday life. Fanaccessories are simply not suitable for everyday use. So what can you do to show in everyday life, in the office or in sports that your heart beats for your team or the sport you do? 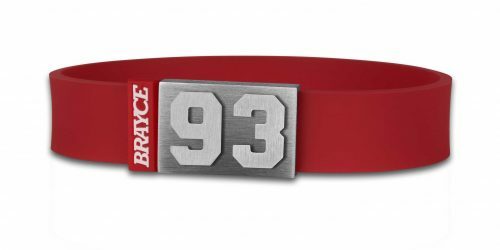 BRAYCE® has the answer: The original fan bracelet with your jersey number (0-99)! 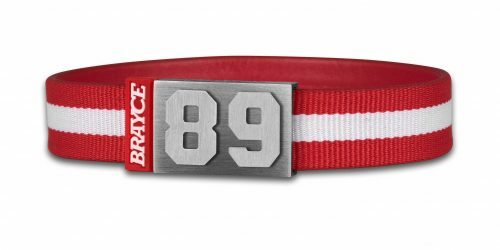 BRAYCE® has come up with an elegant solution for this problem: With this fan bracelet you wear your club colors, national colors or your favourite sports branding on your wrist. 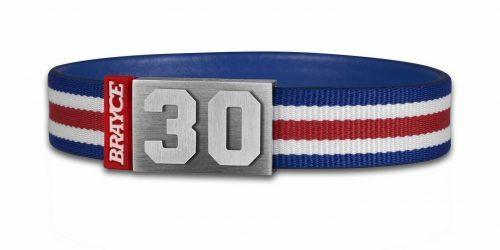 The handmade bracelet looks stylish and unmistakably shows: Yes, sports is my passion! 24 hours a day, 7 days a week! 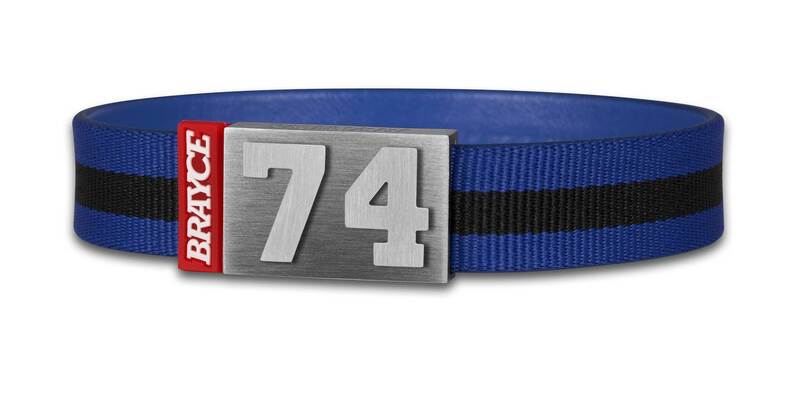 The BRAYCE® fan bracelet: Blue and black meets your jersey number! 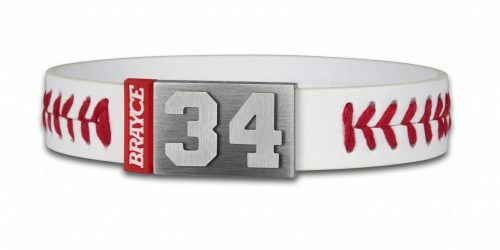 With BRAYCE® , you can always wear your favorite player number on your wrist: Simply select your fan bracelet first during the ordering process and then individually place your personal number on the patented closure – all numbers are available from 0 to 99. The closure is made of high quality 316L stainless steel. In addition, the patended closure holds tightly and is still very easy to open. Thanks to the patented MagAttrac® system, the locking mechanism is also completely invisible from the outside! Pretty sneaky. You can configure your fan bracelet by visiting our online shop. First step: Choose your personal fan bracelet. Second step: Choose your favorite player number and specify your size in the last step. The BRAYCE® Size Guide will help you find the right size.